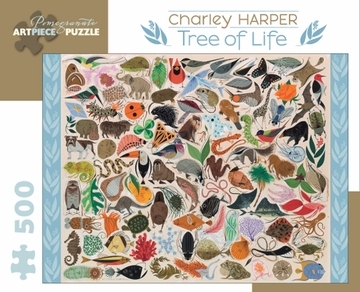 Our planet has given birth to the cuttlefish, the mandrill, and the oak. Over billions of years, a great diversity of life has filled our oceans, skies, forests, and grasslands. 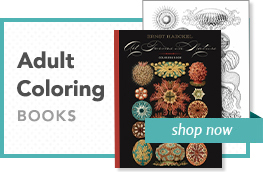 Marine biologists have gazed in wonder at the canny anglerfish, the dazzling nudibranch, and a vast array of living corals; ornithologists have admired the red-headed woodpecker and the ruffed grouse; botanists have traced the family history connecting the fern, the morning glory, the sunflower, and the palm. 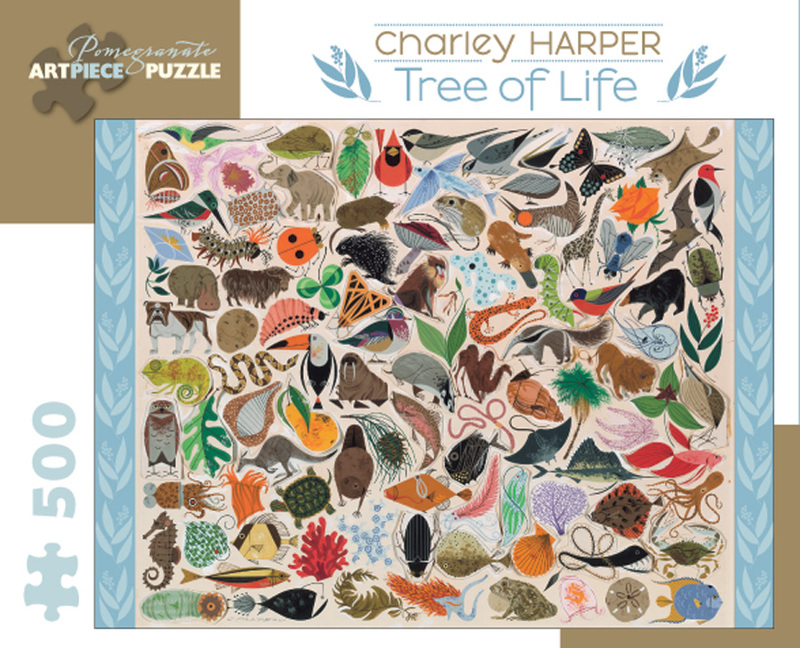 To convey his teeming conception of the tree of life, Charley Harper (American, 1922–2007) collected 102 plants and animals, including even a bacterium, a fungus, and that happy inhabitant of a tree—a fine golden pear.